/The Internet Has Made Traditional Advertising Obsolete, Right? When I left the radio industry and first started my marketing company in 2007, most of my previous clients wanted me to help them advertise on the Internet. One of the most frequent questions I got was “The Internet has made traditional advertising obsolete, right?”. There was this idea that the Internet was going to make all other marketing channels obsolete and ineffective. This was regularly perpetuated by Internet marketing companies who looked to capitalize on the online craze, regardless of any real evidence that the Internet would replace everything else. As a result, the Internet was thought of as a marketing “magic pill”. Add the Great Recession into the mix and you have significantly-reduced spending on TV, radio, direct mail (also print) and increased spending on Internet advertising. Now that the dust has settled (has it settled? ), we can look back and see that the Internet is important as a foundational marketing channel and works better in addition to traditional advertising. While traditional media outlets have had to make some changes to improve effectiveness and accountability, the reports of the “death of traditional advertising” were highly exaggerated. TV viewing habits have changed, obviously, due to the Internet. However, they have not necessarily decreased. In the 2014 Bureau of Labor Statistics American Time Use Survey, Americans spent several minutes more per day watching TV than they did in 2013. In an article by Rentrak Research as reported by marketingcharts.com, younger audiences are spending slightly less time watching TV while older audiences are spending more time. Overall, the TV viewing has remained fairly steady in the last few years. 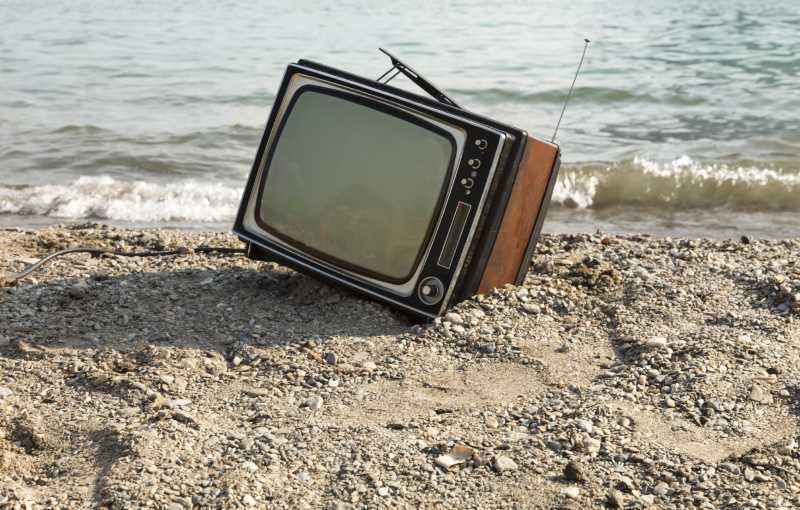 This is contrary to the notion that your potential customers are abandoning traditional TV. This also leads me to conclude that advertising on television can still play an important role in your marketing efforts. That being said, TV viewing has evolved somewhat. “Time shifting” is the phenomenon where people are recording television shows on their DVR’s and watching them at a later time. Viewers do this both to accommodate their busy schedules and because they want to fast-forward through commercials. As a result, a TV advertiser must work VERY hard to catch someone’s attention. This CAN be done, as viewers will sometimes stop forwarding to watch commercials if they appear interesting or have a high degree of entertainment value. I don’t know of any studies that prove this, but anecdotally, our family time-shifts most of our TV viewing and we regularly stop forwarding to watch movie trailers or entertaining/interesting commercials. Another manner in which television viewing has evolved is the advent of second-screen (or multi-screen) viewing. This happens when the viewer is also looking at their tablet, smart phone or laptop while watching a TV program. The 2nd-screen viewer might be looking up information about a show’s cast or something program-related. Or it could be regular multitasking (doing work, interacting on social media, etc.). Some television shows have tried to capitalize on this trend by having real-time 2nd-screen content. For example, Glee and Bones are known for their use of twitter during the shows’ broadcasts. One of my favorite shows, Talking Dead has live quizzes and twitter interaction during the broadcast. These 2nd-screen initiatives can be positive interactions or negative distractions. I see them as more opportunities to touch your viewer with an advertising message. Why not have a twitter ad or an in-app ad at the same time your TV commercial is airing? According to a report in the MediaDailyNews, the amount of money spent on radio advertising continues to decrease (though radio’s percentage of overall local advertising share is slightly increasing). Despite that, most studies show that radio listening, especially in the car is very strong. In a very recent and fascinating study by Edison Research, 85% of Americans commute to work in a car, and 9 out of 10 of them listen to AM/FM radio. Even with the advent of digital music streaming, most Americans spend significantly more time listening to the radio than streaming music. (Interesting side note: Pandora has the largest listening audience in Los Angeles of any “radio station”). In fact, digital music streaming is well below CD-listening in car. I found this surprising considering I listen to podcasts, audiobooks, Pandora and Spotify more than anything else in the car. 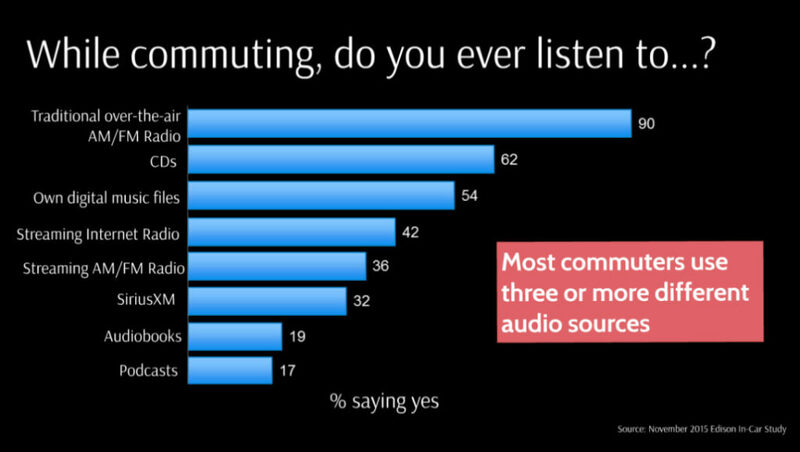 While I suspect the listening ratio indicated in the image below may be different here in Los Angeles, I don’t have any evidence to prove that. Still, this indicates that radio is very much a viable place to reach your potential customers. Not only is radio listening still very strong, core radio listeners are listening to more radio than ever before. In another recent study, twice the proportion of radio listeners are tuning in more than the proportion that were tuning in less. Even though digital listening is increasing its reach, actual consumption of digital radio streaming was flat from 2014 to 2015. What does all this mean for you, the advertiser? Radio still proves to be a very viable means to reach your potential customers regardless of the reports a few years ago that “radio is dead”. Direct mail spending has plummeted since the advent of the Internet. Obviously, it is significantly less expensive to send a potential customer an email than it is a 2-sided multi-color mailer, ESPECIALLY with the ever-increasing cost of postage. I don’t have a study to prove this, but I believe direct mail lags behind only Yellow Pages and print in terms of loss of advertising dollars over the last decade. Businesses and consumers are receiving significantly less direct mail than they did 20 years ago. According to a B2B Special Report by Chief Marketer, this decline is actually a significant opportunity for your company. 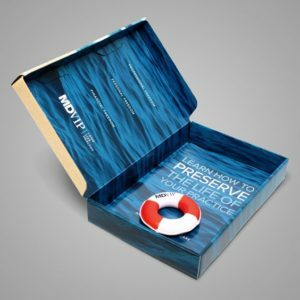 Since fewer people are receiving direct mail, your ad has a greater opportunity to stand out. Also, there is a unique opportunity in billing inserts. Many people still desire paper bills and statements; the reasons for this are unclear, but a contributing factor could be the slew of recent online security problems. From my perspective, there are two significant advantages that direct mail has over other types of advertising. Successful users of direct mail are moving away from the mass-market approach and becoming much more targeted. It is very easy to get a list of mailing addresses for people who fit your exact customer profile. Especially in the B2B arena, your ability to send a direct mail piece to the potential decision-maker for your product or service is better than ever before. If your perfect customer is the CFO of a regional hospital, you can buy a list with those names and addresses. If your perfect customer is upper middle-class divorcees who drive SUVs within a 5-mile radius of your restaurant, you can buy that list. With this improved ability to reach exactly who your target market is, you can become much more intentional (and personal) with your advertising message. Also, you can spend significantly more money per prospect than you can with the mass-market mailer. This allows you to be more creative with your advertising for the same budget or less (than the typical mass-market approach). Spending more per direct-mail piece and hyper-targeting a small number of names allows you to be a lot more creative at getting your prospect’s attention. For example, which direct mail piece do you think would be more effective: a nice colorful postcard or this piece? Granted, this is a very high-end polished mailer, but you get the point. Being creative can make a big difference between your postcard being thrown in the trash after a mere glance or your small package being opened and interacted with. When you combine multiple touch points in direct mail you improve your chances of winning a client. For example, a very creative mail piece like something shown here, followed by a letter, an email and a personal call to 100 prospects will probably net significantly greater returns than a couple postcards mass-mailed to 5000 “prospects”. In my opinion, it is as critically important to have excellent advertising copy for radio and TV commercials as it is to be creative with your direct mailers. I STRONGLY recommend that you skip the ultra-inexpensive commercial offered by your cable company, local TV station or radio station and hire an advertising agency or production house to make you an excellent commercial. You can have a great TV commercial done for under $5000 that will look every bit as good as something national advertisers spend tens of thousands of dollars on. You can get an excellent radio commercial produced for under $2000 or even $1000 depending on what you’re doing. This investment will more than pay for itself in results. Did you know that most radio commercials you hear are made in-house at the radio station? The same with most local TV commercials. A little extra investment and effort in your commercial will make you stand out among a sea of horrible commercials. Watching a couple cycles of television commercials or listening to a few rounds of radio commercials will prove my point. Internet Marketing: Get a Backbone! While the purpose of this article is to validate the use of traditional media, I have no intention of invalidating the necessity of a strong online presence. Much of the advertising done on TV, radio or direct mail will lead a potential customer to look for you on the Internet. They will either go directly to your website/landing page or, if they can’t remember your company/product name, will search in a search engine. When I was at CBS radio, a Google executive told the story of how they saw a spike in searches for specific products and companies every time there was a radio ad. I’m sure this is also true for TV ads. If your company does not have a strong, carefully-crafted online presence, it is possible that the leads from your advertising will not convert. For example, if your website is not designed specifically for direct marketing, the possibility of online visitors converting to qualified leads or sales is very low. Most website homepages are terrible at converting leads. Alternately, if your potential customers search for your product or service online and don’t readily find you, they will either abandon the search or buy from your competitors. Having a strong Internet marketing program will serve as a foundation from which all of your other advertising can be built. Ensuring that all of your advertising platforms are properly coordinated and streamlined will result in more sales (this is called cross-platform marketing). If your super-cool direct-mailer has the URL of a landing page, the landing page better have a picture of the mailer and matching copy. Your radio commercial needs to have the same verbiage as your TV commercial which in turn should be the same copy as your direct mail piece and your website. Making sure that your hilarious TV commercial also runs as a pre-roll on YouTube videos will help reach a broader audience, ensure social sharing and improve product recall. Really, that’s the point of this article: not either-or, but “and”. Sometimes, you just can’t reach your target market at the right time in the buying cycle through Internet advertising alone. Sometimes, your potential customers need to learn about you before they ever do a search on Google, Bing or Yahoo. The bottom line is that using a multi-channel approach to advertising, including traditional marketing will reach more people, improve product/brand recall and increase your company’s sales. Who Really Controls Your Company Domain Name? →← What is SEM, SEO, PPC (and all that other alphabet soup)? Print newspapers and magazines are becoming less and less common. It’s a dying industry with rapidly shrinking readership. This is due to the ease of finding information, including news, online. Many traditional newspapers are no longer existent or have moved their operations online in the form of dedicated blogs or E-newspapers. Most magazines have replaced printing in favor of digital copies that incorporate video as well as images. no traditional advertising is not obsolete. It has and always will take a media mix to have an effective marketing campaign. I am sure when tv came around they asked if radio was going instinct but it did not and everytime a new media comes along they assume that it will replace another, but that is not the case. Some of the older medias may change to adapt but become obsolete no. There are some types of traditional advertising, types that have been in existence for a very long time, that seem to be fading to the background and there is a good possibility that they may become obsolete in the next several years.